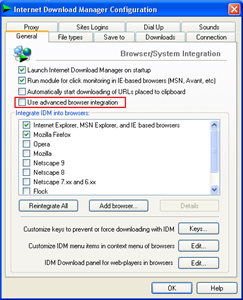 How to Integrate Internet Download Manager? As you know the most of user who are using internet they face different problems .Some face their browsing are very slow and some face other major issue. When we watch a video on any browser and want to download but the major issue comes that how can we download the video.in this article I will tell you how can you install or display download option in Different browser. As you know the most of user who are using internet they face different problems .Some face their browsing are very slow and some face other major issue. When we watch a video on any browser and want to download but the major issue comes that how can we download the video.in this article I will tell you how can you install or display download option in Different browser. First of all User can integrate Internet download manger for downloading videos which you want. Follow the step and you can show download options on the any browser like you tube etc. 2. Automatically start downloading of URL placed to Clipboard. 3. Detect new applications that try to download to internet. type in address bar youtube.com and check the option If you watch IDm Icons for downloading then Everything is Ok.If you don't see then don't worry and follow blow simple step and you can download any video.